Today was my final day on the PCT, and the trail wasn’t going to let me have it easy for the remaining 14 miles to the Canadian border. I think it decided to save the best for last, and all I can say is I’m glad I started early before the weather really rolled in. 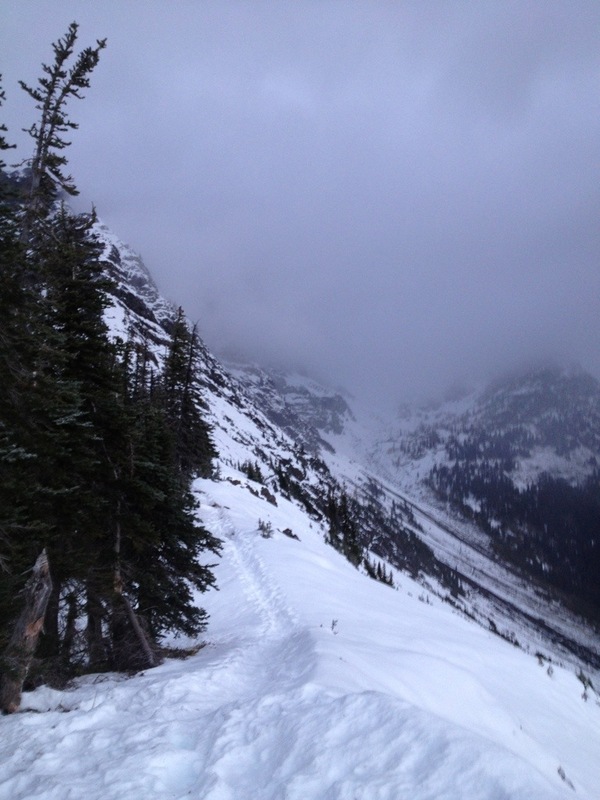 The trail to Woody Pass had relatively deep snow on the switchbacks, to the point where I actually couldn’t see where the footprints went and ended up breaking trail in my snowshoes after first attempting to cross the ridge in my yack tracks. 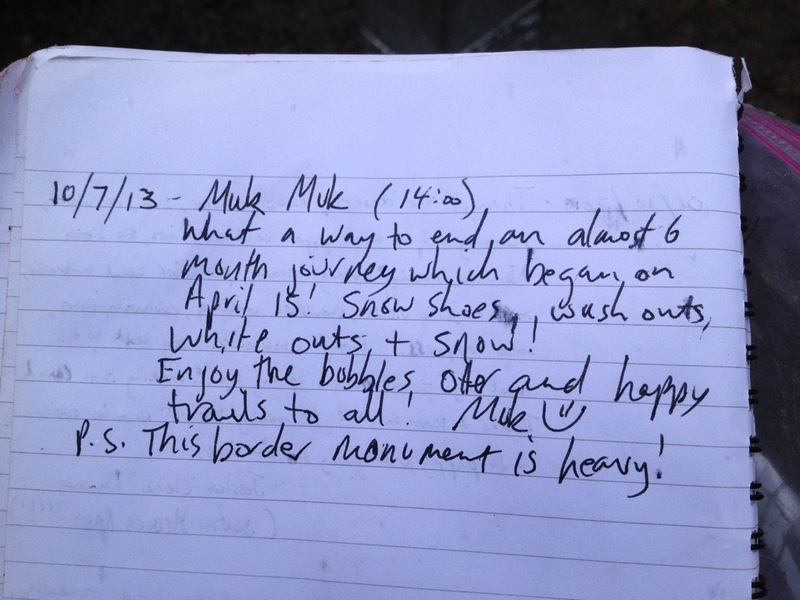 I seemed to be on the same ridge line for hours because of the effort it was taking to move forward in the snow. 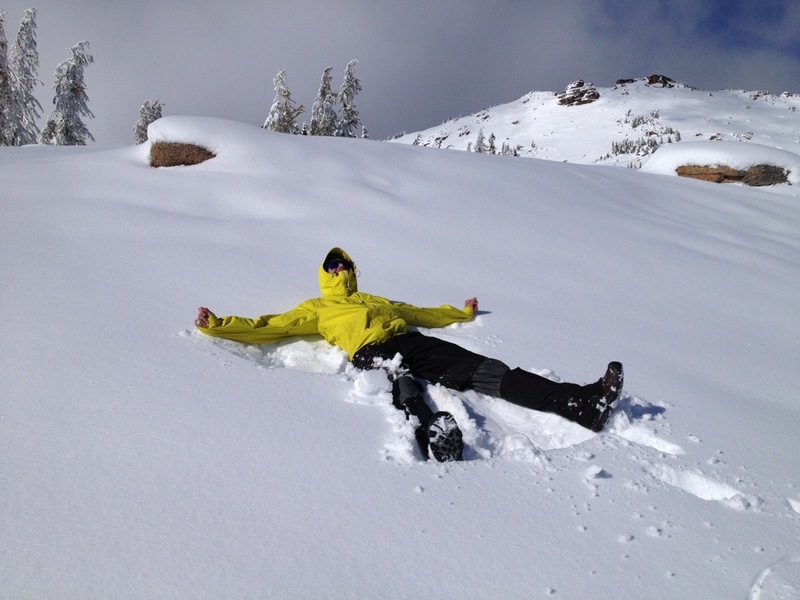 The snow shoes worked well for a while, but even they started sinking, with one coming off my foot and getting buried in the snow. I took them off again when I hit the washouts, which slowed my progress down even further. Once off the never ending ridge the trail started climbing up to Woody Pass. 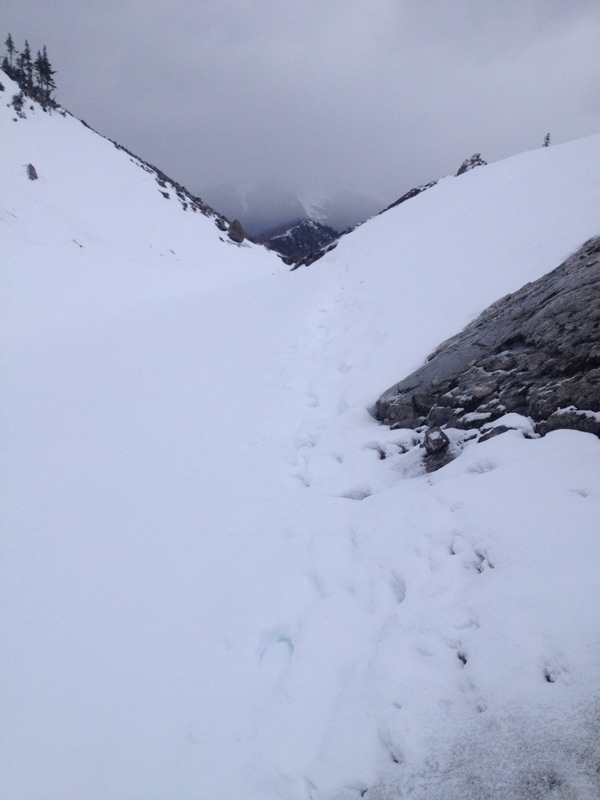 I was sinking quite deeply up to my knees in the snow on the switchbacks, and found it easier to hike straight up the side of the mountain in some instances to avoid sinking into the existing footprints covered by freshly fallen snow. 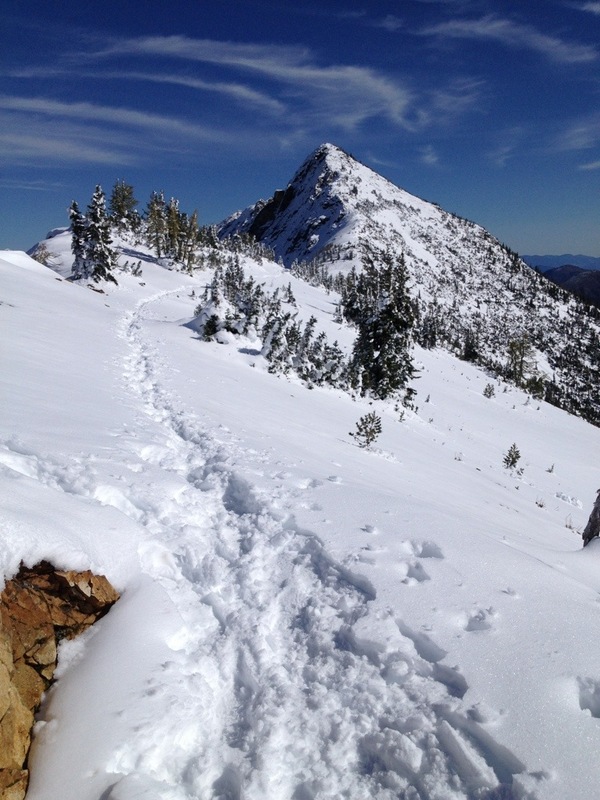 I expected to reach the 7000 foot peak and the Devil’s Staircase a lot sooner than I did. Deep snow, lack of footprints and near whiteout conditions started making me quite nervous, and when I finally got GPS signal on my apps, I realised I still had a fair distance to get to the top. The trail gods must have been watching out for me, because my Guthook’s app which hadn’t been showing my GPS location on the map page since before Washington, now suddenly worked. It helped me realise that those who walked ahead of me had often skipped the switchbacks, which was why the footsteps had disappeared so frequently. But there was so much fresh snow at this point, I couldn’t necessarily tell if I was following human or animal tracks as the imprints were so faint. 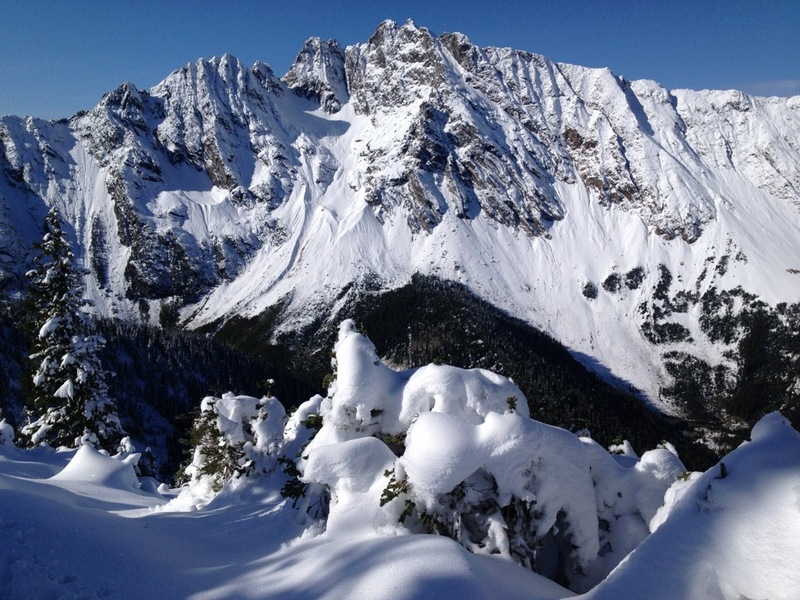 As I watched my blue GPS dot getting closer and closer to the peak, my emotions ran high. 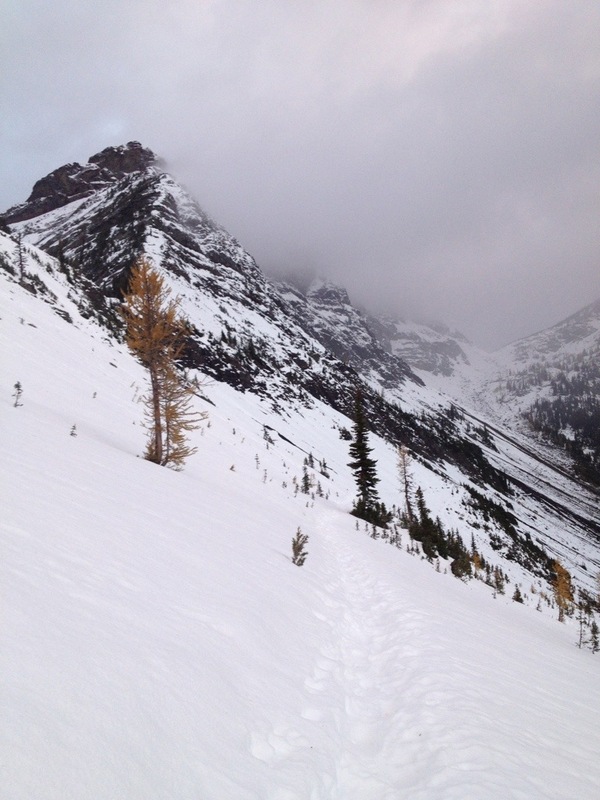 I almost burst into tears when I thought I’d reached the top, then saw one final climb, and scrambled up with all my strength as the snow started falling again. 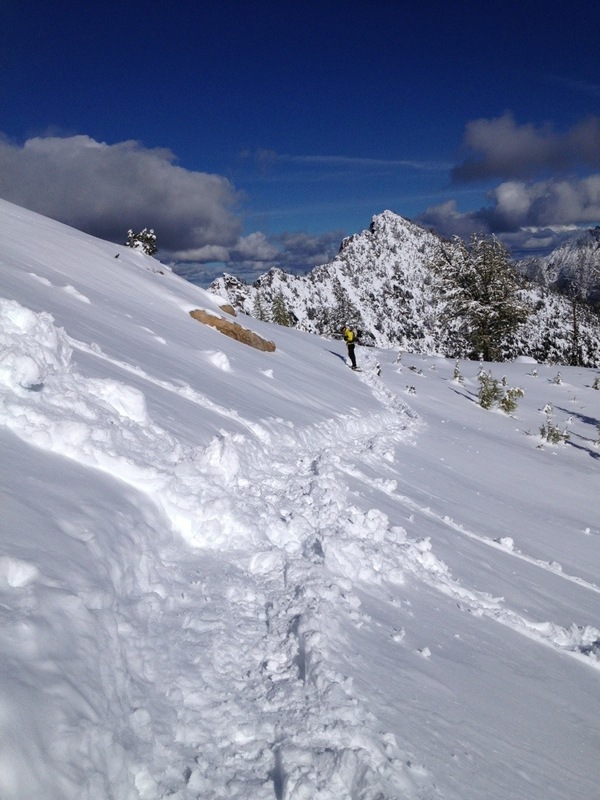 The climb down the Devil’s Staircase was a lot easier in fresh snow. 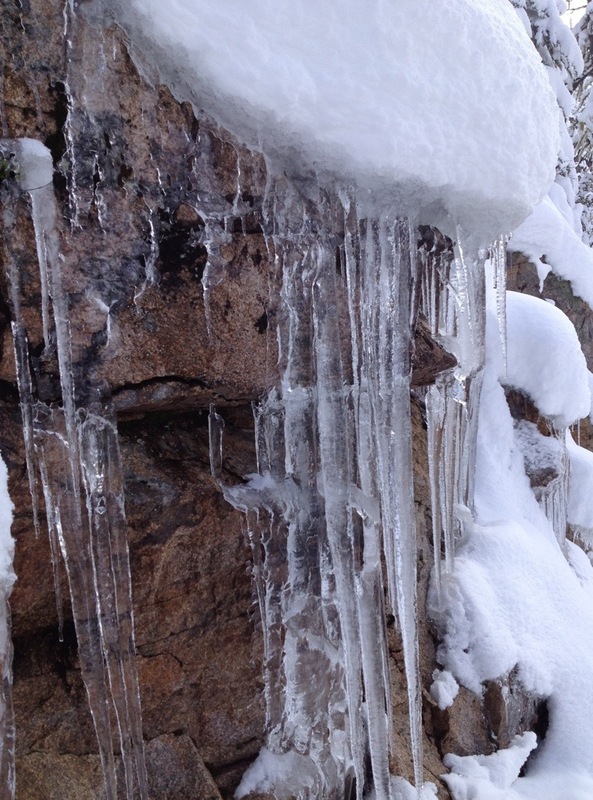 Ice would have been hazardous, and I thanked the trail for cutting me some slack on this one. 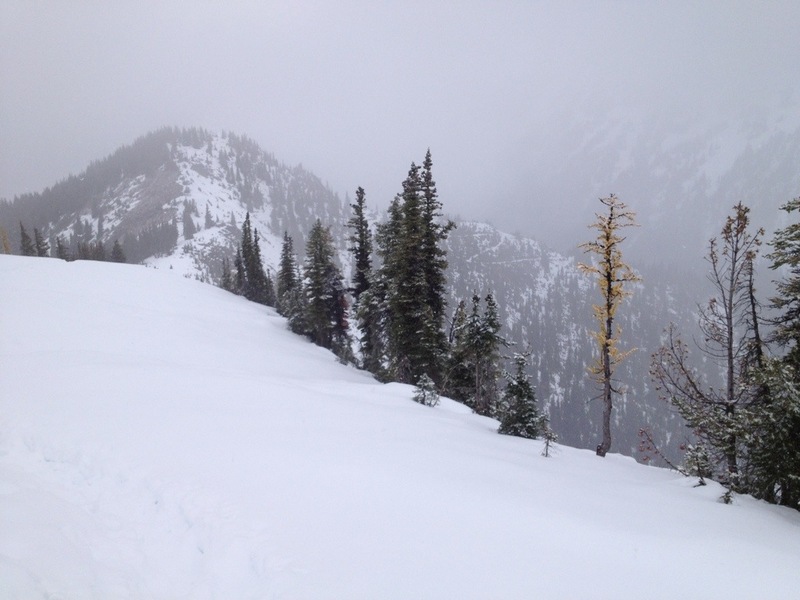 It was as if someone had their finger over the weather switch, because as soon as I was over the most treacherous section and heading down, down, down the switchbacks to the border, the heavy snow started falling. I looked back at the mountain I’d just climbed over, and could see nothing but cloud. All I could do was breathe a sigh of relief. I booked it all the way to the border from here, my poncho flapping in the breeze and snow blowing directly in my face. 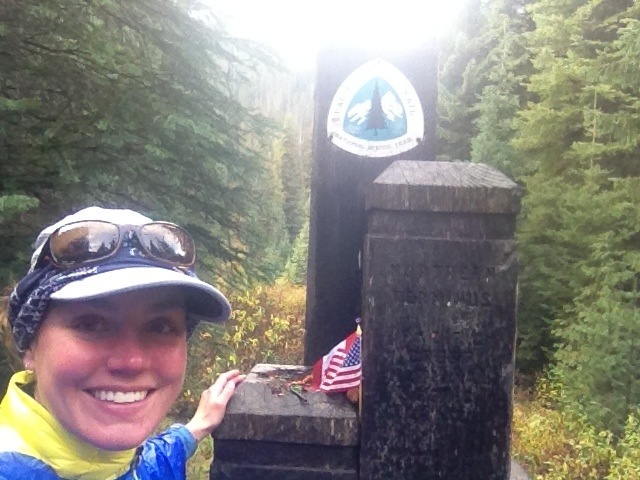 The trail was still tripping me up on roots and rocks, but in the last 3 miles I started thinking to myself, ‘I’m actually going to make it… I’m going to complete the Pacific Crest Trail.’ I had to push back premature tears which came gushing out when I finally did reach the monument. I was in such a state of shock when I saw the northern terminus it’s hard to express exactly how I felt. I had heard some people experience an anticlimax on arrival, I wouldn’t say that was the case for me. I had so many raw emotions running through my veins it took me a while piece my thoughts together. It was deathly silent, with only the slight pitter patter of rain drops hitting the ground. I had imagined this moment in so many different ways, but I never thought it would just be me, standing there in a stunned silence, with no other hikers on trail. Ok, so why has no one EVER talked about how HEAVY the border monument is? Otter told me where the register was, and to leave him any extra food in there as he’d be heading straight back to Harts Pass from the border. I scribbled a quick note in the register and saw that Bad Seed was the last person to arrive before me the previous day. I had meant to study the register, but the rain started falling heavier and I didn’t want the pages to get wet. I put it back in its ziplock bag and left my little celebratory bottle of champagne and snacks for Otter. 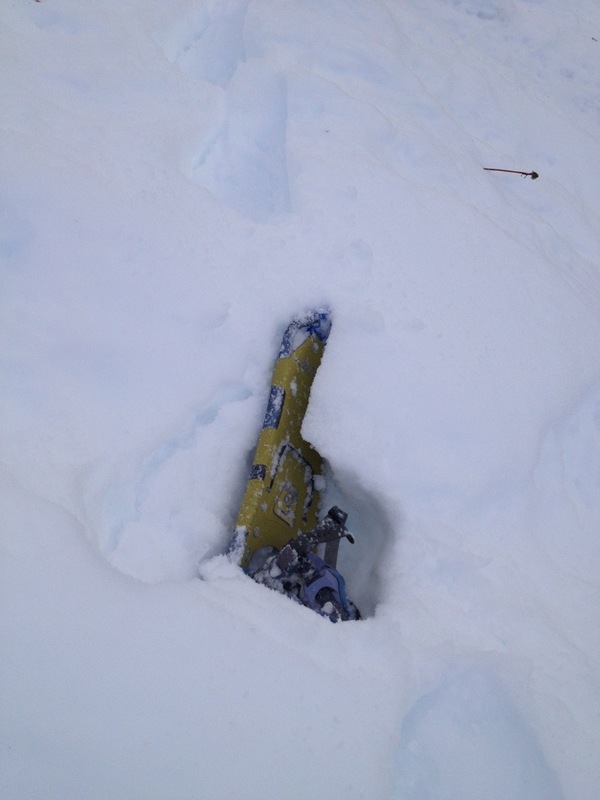 Then I had to heave that monstrous piece of steel back onto its base. I almost did my worst back injury of the entire trip getting it back on, and I almost faced it the wrong way with the US pointing towards Canada and vice versa. Fuller said the final 8 miles would fly by, and they actually did. The only break I had taken all day was the 45 minutes I spent at the monument. I’d been surviving off whatever food I could fit in my pockets and decided I could last another 8 miles to the trail head. What I didn’t realise was the Manning Park Lodge is another mile from the trail head, and by then I had truly run out of steam. 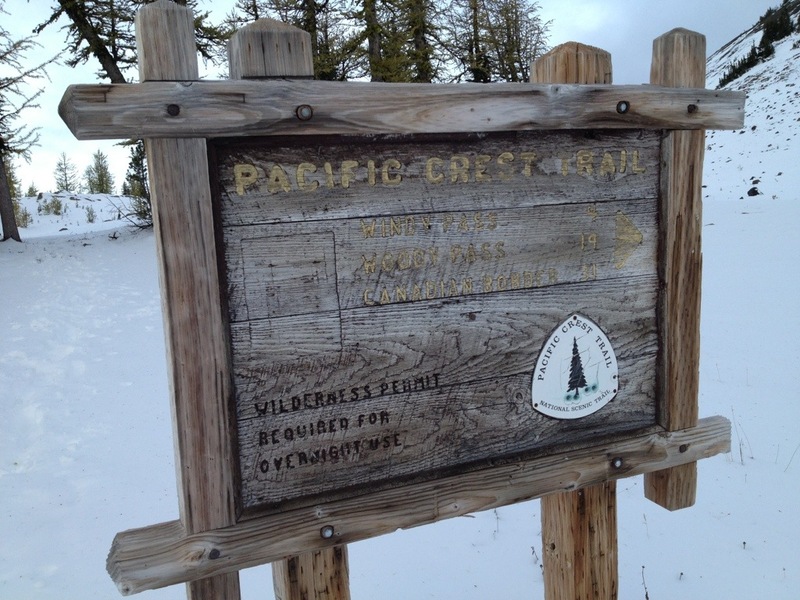 When I reached the lodge I walked around like a zombie until I met a girl that worked there and asked vaguely, “ummm… when hikers finish the PCT, where do they usually go?” She congratulated me and directed me to the lodge building where I could access wifi and make a phone call. As I was crossing the road a huge van drove up. As it got nearer I could see hands frantically waving through the windows. I squinted to see who it was, and was overwhelmed when 5 of my wonderful friends from Vancouver jumped out, started hugging me and spraying me with champagne! I fell into yet another state of shock! They were all equipped with hiking gear to meet me on the trail but I’d beat them to it! I couldn’t have dreamed of a better reception as I wasn’t sure if anyone was going to be there at all. 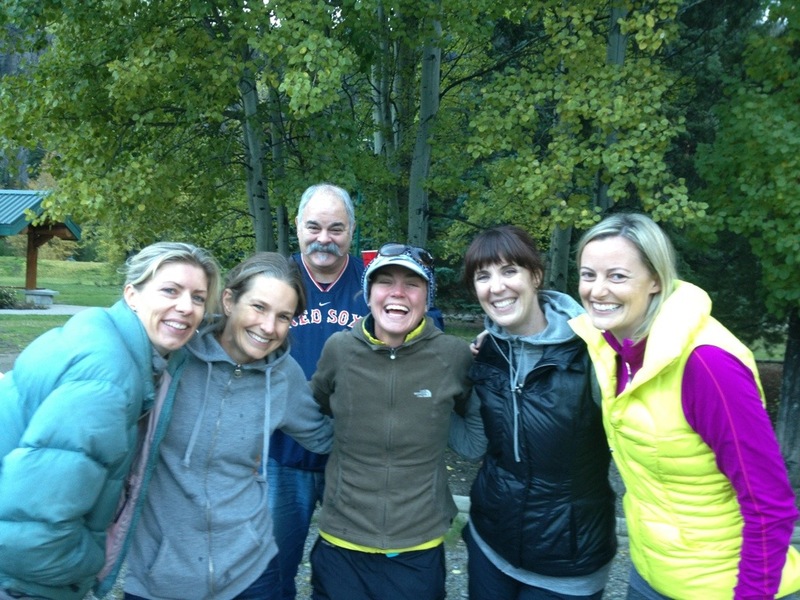 Thank you Sue, Lady Bug (my inspiration to hike the trail), BJ, Steph, and Janer! What a way to finish this epic journey. And it goes without saying but thank you to everyone who sent me comments of love, support and motivation; of wisdom, advice and care. I’m still completely speechless! It’s what should be my final night on the PCT and I’m in my tent drinking hot chocolate thinking to myself, ‘I don’t think I want this to end’. As much as I’m craving to cross that finish line, I know that the life I left behind will be waiting on the other side of that border and will wrap it’s arms around me and consume me all too soon. I’ve had a lifetime of experiences on this journey, but as I walked alone again today I realised just how little my life and I have changed because of them. Or maybe I just can’t see it yet because I’m still in the trail bubble I entered over five and a half months ago. To be fair I think I’m still in complete shock of the events which have taken place over the last week. Getting to the border is my focus right now, but as soon as I’m there the reality of what went down over the last couple of days will start to sink in. 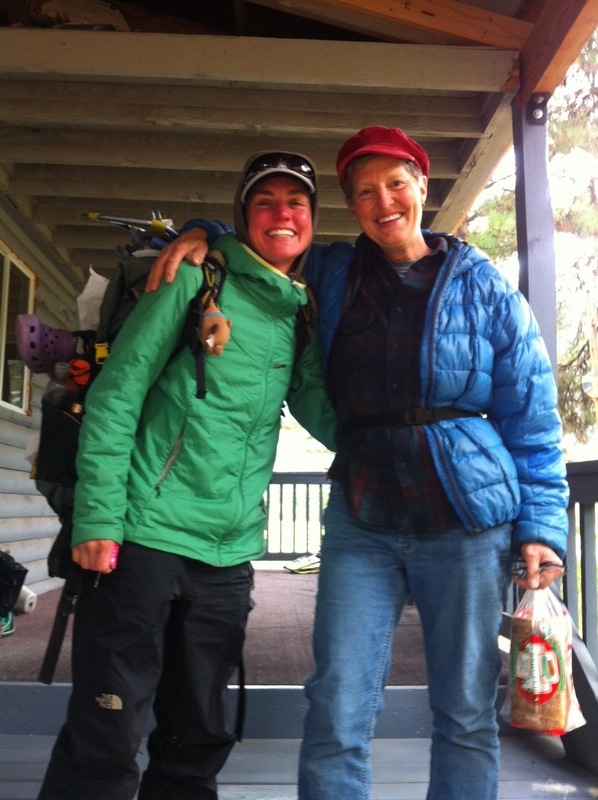 I was a completely broken woman coming off Harts Pass yesterday, and if it wasn’t for Ravensong (the first solo female PCT hiker in 1975) picking me up from the Mazama store and taking me back to her place where she and Otter convinced me I could take on this last 30+ miles solo, I think my trail would have ended short. 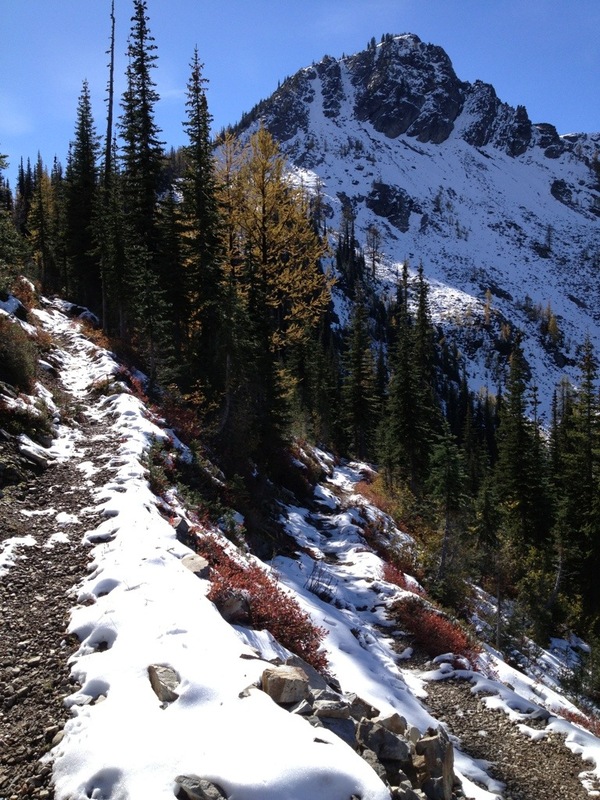 The trail and conditions from Skykomish to Harts Pass were so incredibly difficult and intense, it makes the rest of the trail seem like a cakewalk. I don’t know how I would have got through it on my own and it was thanks to UB and his experience of that part of the trail that pushed us forward when others turned back, getting us through the last day by the skin of our teeth. I still to this day don’t think I appreciate the severity of the situation we were in, but I’m thankful that UB led us safely through, and from what I’ve heard recently, the other hikers that were missing in similar conditions have been located. It’s incredible how rain can alter everything about your hike, especially in freezing temperatures. Not being able to dry out went tents, clothing and gear over the course of four or more days is incredibly frightening when you’re in the middle of a section past the point of no return. We used my tent for wet clothing and our packs, and slept in UB’s; but cramming two people into a one man tent meant that inevitably our sleeping bags would touch the sides of the tent and become wet too. We used the term ‘survivable’ when assessing the tent and our gear each morning. 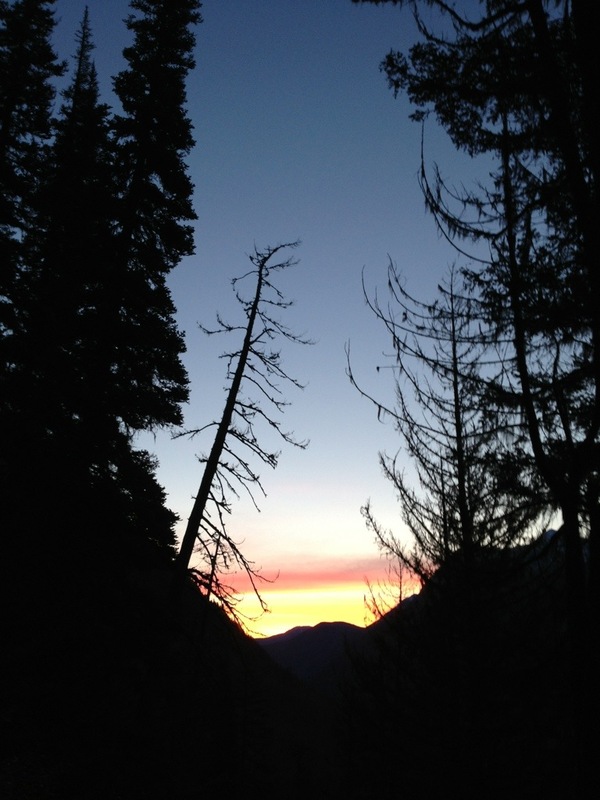 When we were still 22 miles from Stehekin with two passes to cross, we hit the trail before sunrise knowing that our situation was no longer survivable if we had to camp one more night. 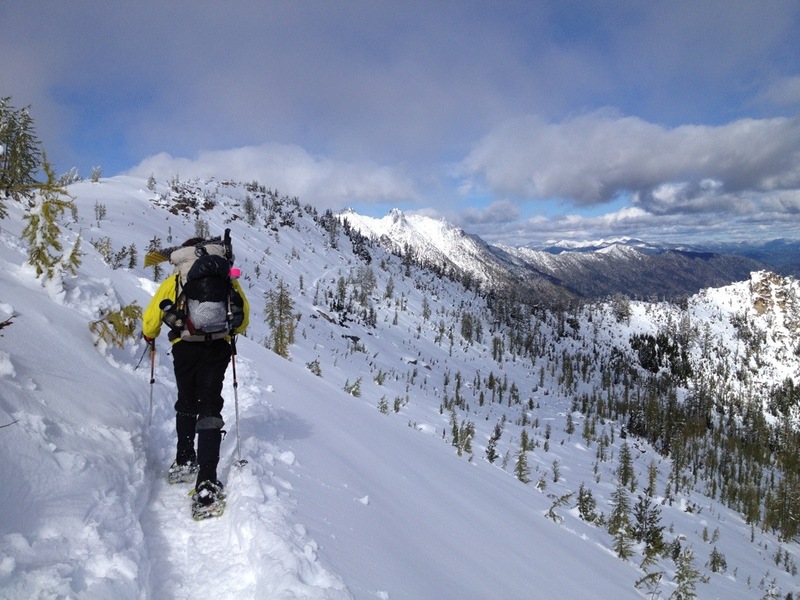 That final push to Stehekin took a lot out of us mentally, especially UB; who felt the weight of responsibility to get us both through safely. 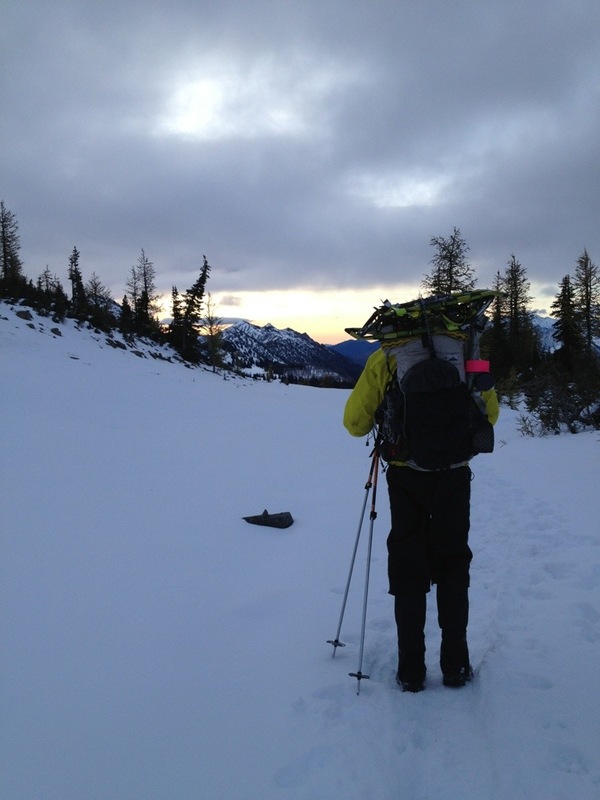 I think this weight hung heavy over the following days to Harts Pass, despite some glorious weather and the novelty of snowshoeing for the first time. After a restless nights sleep under the cover of a drop toilet with mice scurrying over our sleeping bags, we headed up to Slate Peak as the sun was beginning to rise. At the top the sky looked stormy, the wind was blowing, and uncertainly crept into our minds. To go or not to go was the question, and again UB felt he was in a no win situation. 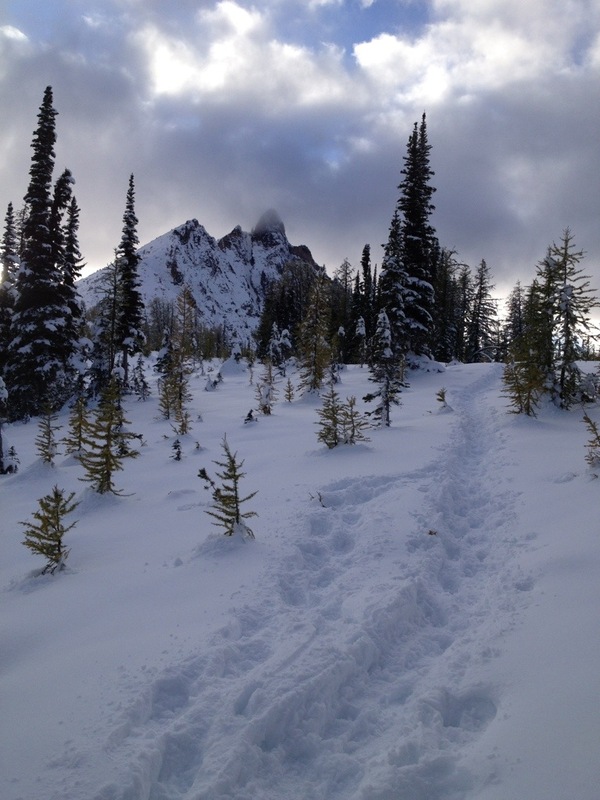 Run the risk of bad weather or the risk of ending the trail prematurely. UB finally decided it wasn’t worth the risk to continue to Canada and left the trail and I behind. I don’t blame him for making the decision he made. Having experienced so much on this journey, including his own rescue from the trail, he needed to follow his gut. He is an incredible human being, as you all know from my and his own stories and videos, but from here the partnership crumbled and the team split in two. 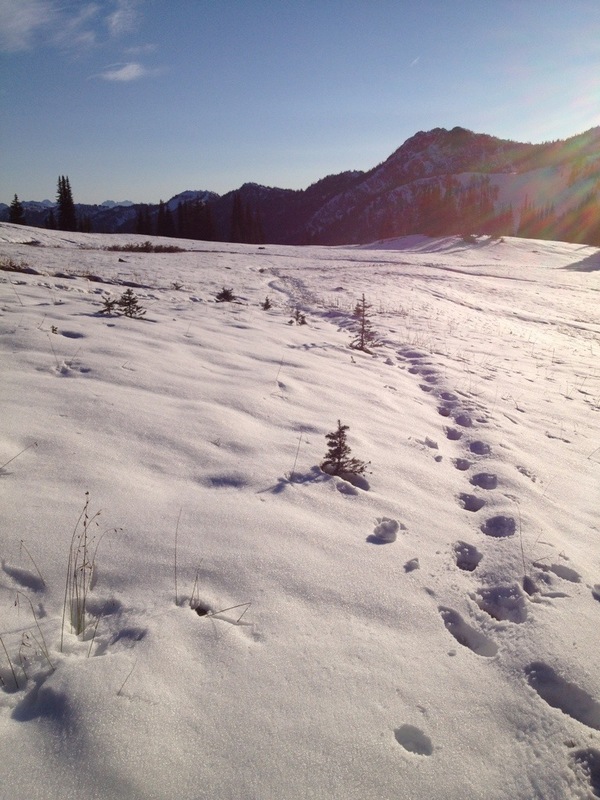 I stared at the trail for a long time in stunned silence, not prepared to say goodbye but not prepared to put myself at risk and put UB in a situation where people would point the finger and ask ‘why did you let her go on alone?’ As I walked down the dirt road from Harts Pass to Mazama I tried to console my mind that this was a lesson the trail wanted me to learn. Maybe I wasn’t destined to complete the PCT, maybe I needed to learn how to cope with such a devastating end to such an epic journey. As these thoughts swam through my mind a car came up the road heading to the pass. 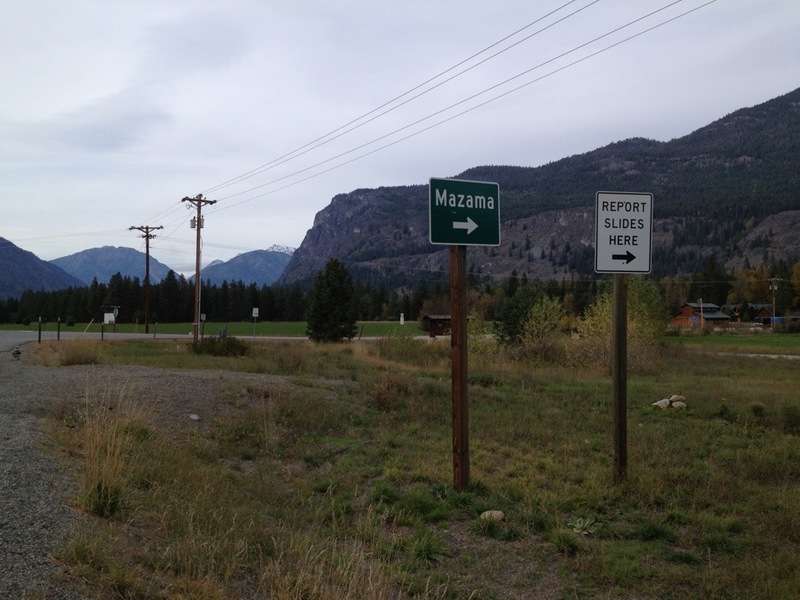 I stopped to ask how far it was to Mazama or a paved road and unfortunately the answer was ‘far’. 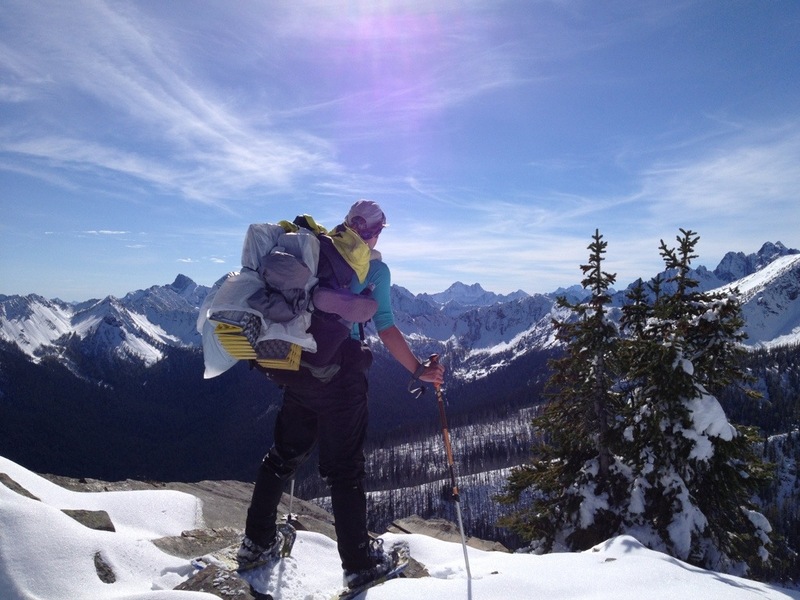 When they asked me if I was hiking the PCT and if I was quitting the trail, I burst into tears. 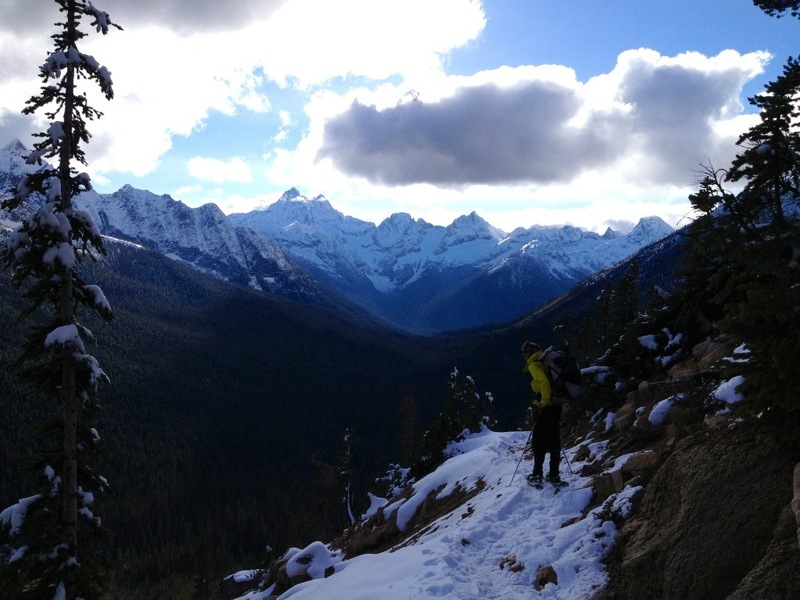 I couldn’t stomach the thought that this was how my hike was going to end, that the window of opportunity to reach Canada was closing the further I walked away from the trail head. But I knew I couldn’t turn back. Mentally I was broken. 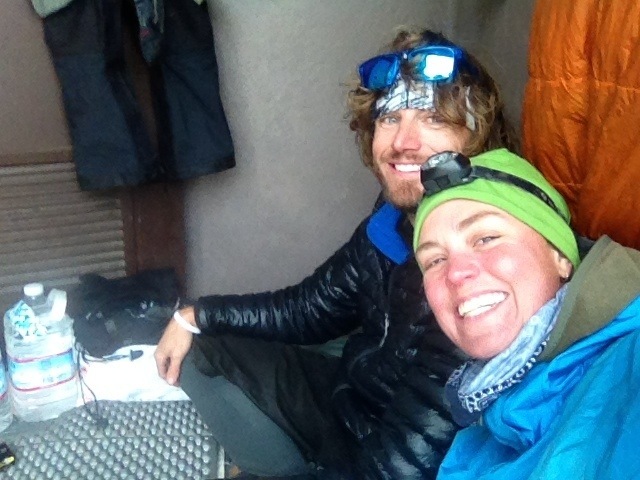 We both managed to get a hitch not long afterwards into Mazama together. As I stood outside the store with no idea of what to do and where to go, Ravensong and a fellow thru hiker Geoff appeared in his truck and asked us if we needed a place to stay. I hugged Ravensong as I teared up again and accepted. UB already had a ride to Bellingham Airport with the man who drove us to Mazama. This is where we said goodbye. In the truck Ravensong told me Otter was also at her place planning his final push to the Canadian border. 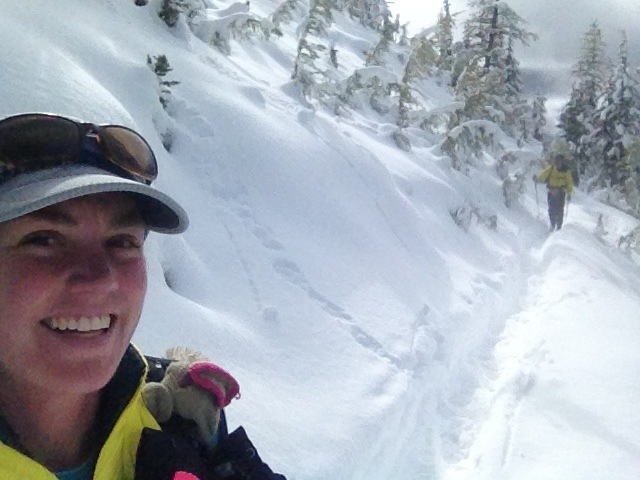 A few hours earlier I had called out to the trail to provide some magic… and magically here it was. I was so brain dead that when I got to Ravensong’s new property purchased especially to help out PCT hikers, I hopped into the shower still holding the dry towel she had given me. Once I was clean I spoke to Otter about the trail. 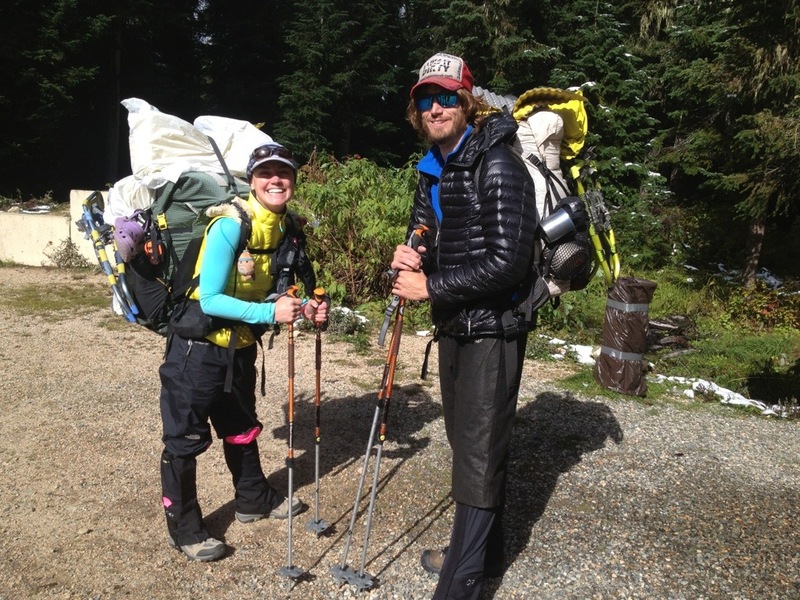 He wasn’t planning to leave until Tuesday with another couple who were starting back at Rainy Pass. If I waited for them I’d never make my visa deadline. 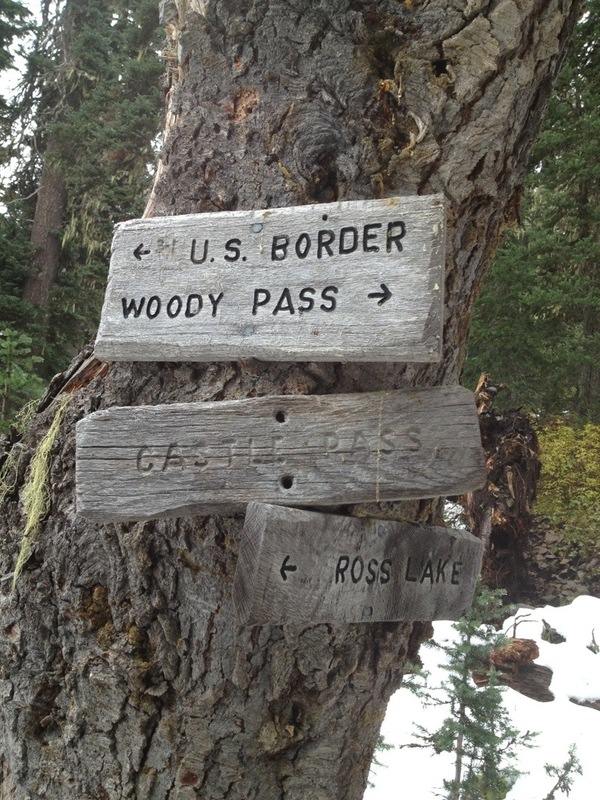 Geoff called the hostel in Winthrop to see if there were any hikers heading out from Harts Pass. There were none. I asked Otter if he thought I was crazy to head out on my own. He said no. I then went to the store where there was signal and spoke to Fuller about my situation. He was concerned about me heading out on my own, but also felt I could do it and would make the right decisions. He knew how determined I was to reach that border. I went to the gear store and bought a poncho, a safety blanket, a new ground sheet for my tent incase I had to camp in snow, and asked if they had any cheap long johns as I just needed something extra to get me through the next 2-3 days. The woman said she had a pair at home I could have, and would get her husband to drop them off at 6am the following morning. More trail magic! I bought enough snacks for about 6 days then headed back to the house to see if I could get a ride back to Harts Pass in the morning. Ravensong said of course, and also said she’d hike in the first few miles with me. 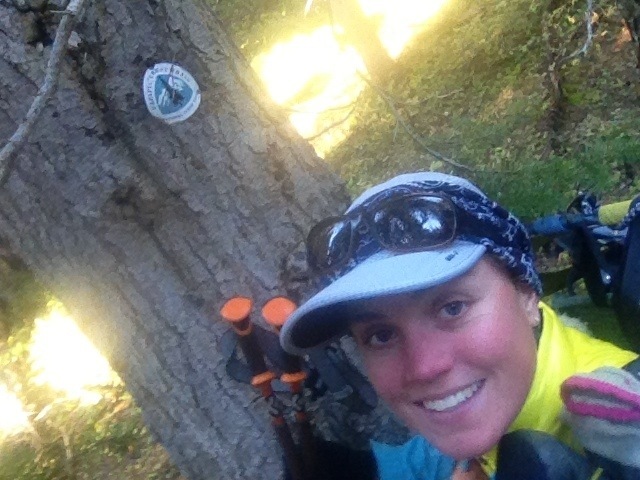 It felt incredible having the first solo female PCT hiker drive me back towards my dream, and set me off on the right footing. After about 4 miles she waved me off from the top of a ridge, and there I was again, alone with the trail. ‘Mind, body, trail. Mind, body, trail’. The trio was together again, the sun was shining and I was heading towards Canada. All was going well until my poor ankles refused to be beaten and bruised by my new boots any longer. When I had to slow down to a hobble I knew something had to be done. I set up camp just after 5pm, about 4 miles from Woody Pass. I felt so mentally fatigued today that I decided to get a good nights sleep and face the two big climbs tomorrow. I’m praying they won’t be too icy to cross in the morning! 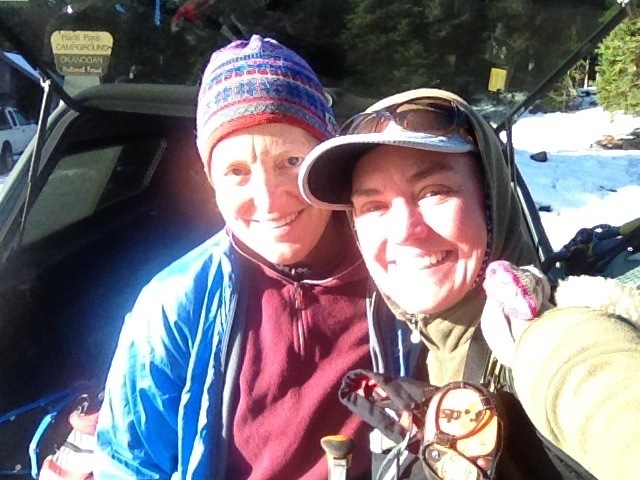 We hit the trail again this morning while it was still dark, and experienced the true beauty of winter as the icy grasses glittered in our headlamps and the sun slowly crept up, shining a radiant red glow on the mountains surrounding us. As we headed up our first climb we came across three tents, and when we said hello, a voice came out from one asking ‘is that Muk Muk?’ It was Bad Seed! She was travelling with Cherub from South Africa, El Jefe and Puppy. I was so excited to see her in a better tent and with a strong group of hikers. I honestly see her like a little sister, even though she towers above me! 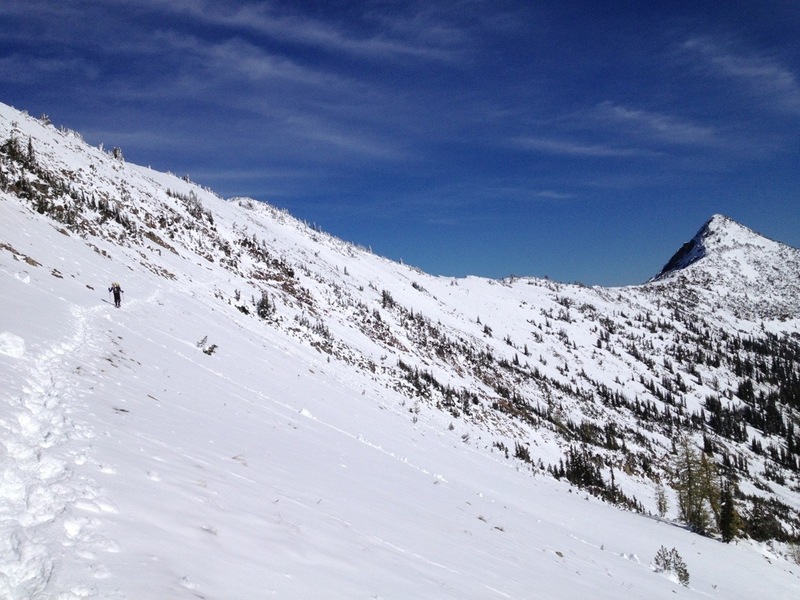 We had blue bird skies once again, but today the snow was a lot slushier, and much harder to hike through. The first ridge climb up the switchbacks was pretty sketchy, with a narrow path cut through the snow and a sheer drop down hundreds of feet. I didn’t even dare to get my camera out at that point, that’s how dicey it felt! We only had 15 miles to travel to Harts Pass, but the hours kept ticking over, and at times it felt we were moving like snails. The scenery again was mind blowing, but the slushy conditions begun to take their toll, and by the end of the day my poor ankles were so sore I was reduced to no more than a 2 mile per hour hobble. We arrived at Harts Pass around 5pm and UB made the call to stop while the others continued on. We had a wet sleeping bag and tent to dry out, and some angels had left some dry fire wood and gallons of water in the toilet block. For a cold concrete floor with wafting bathroom smells and mice, it was a relatively comfortable place to spend our final night together. 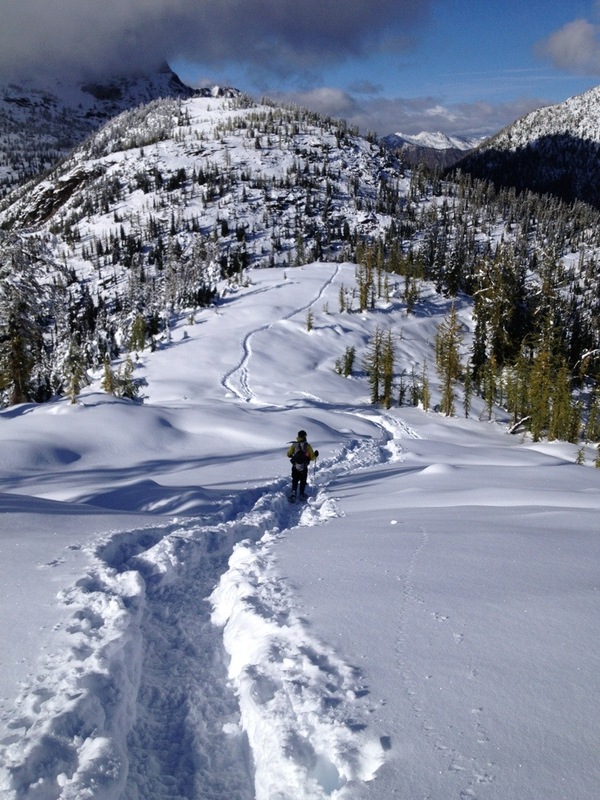 After a full day of R&R in Stehekin, we needed to hit trail again to begin the first leg of the final section to Rainy Pass. 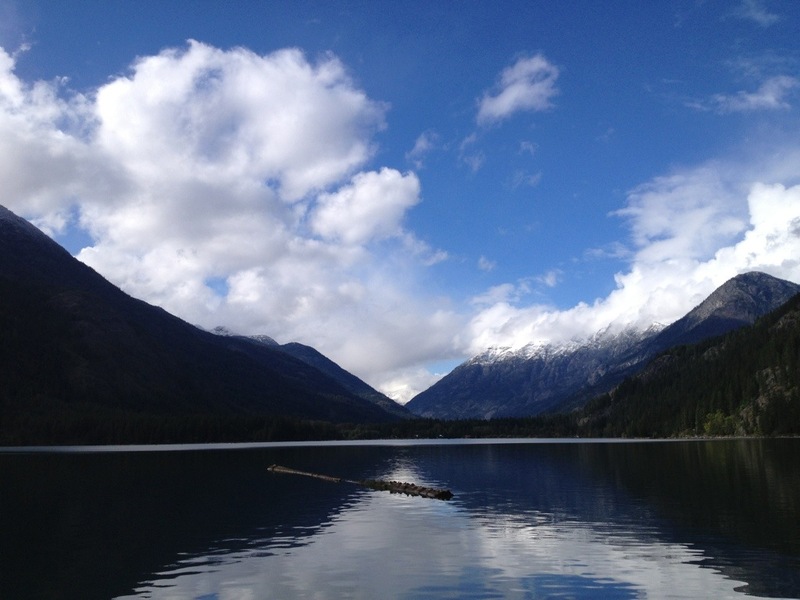 Because of the government shutdown Stehekin was empty of all other guests, so UB and I were well taken care of by the staff especially Griffin our waitress, Mary at the store and our friendly bus driver! 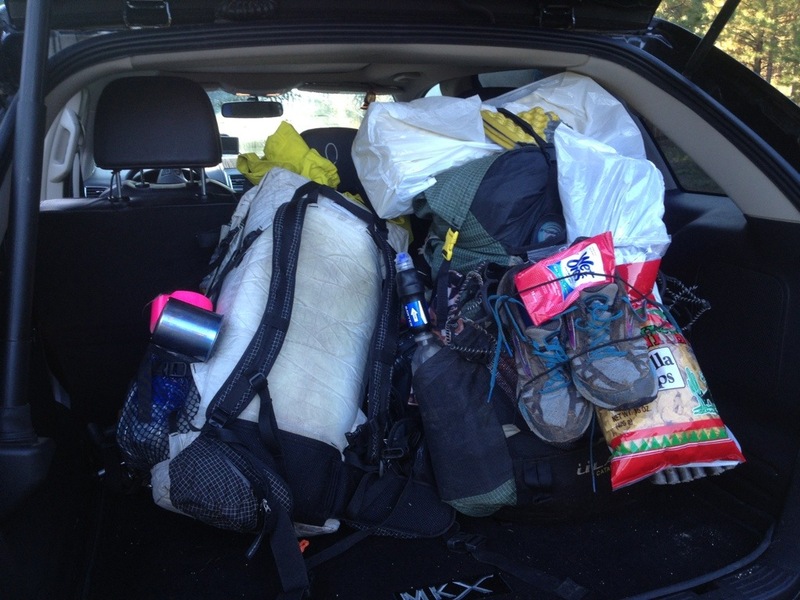 We had to dry out all our gear which meant hanging out tents, food bags, gear and packs. Luckily we had a heater and fan in the room to dry out our soggy shoes. It was probably the worst pack explosion I’ve had all trip! The sun was shining when we left on the 8am bus, past the ranch to get fuel for our stoves, then onto the ranger station at High Bridge. 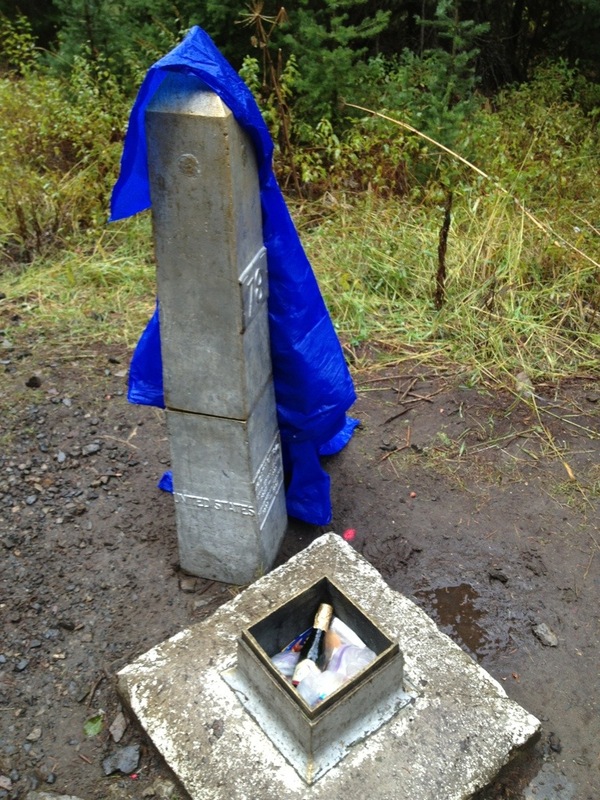 However as predicted the rain soon started to fall again, making the 20 miles to Rainy Pass long, cold and wet. 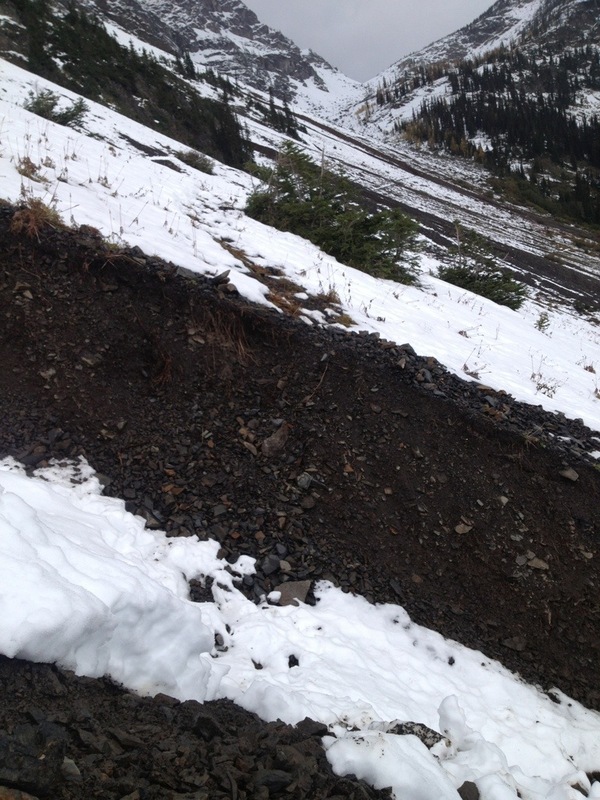 We kept looking up at the mountains where the snow line was creeping lower and lower. 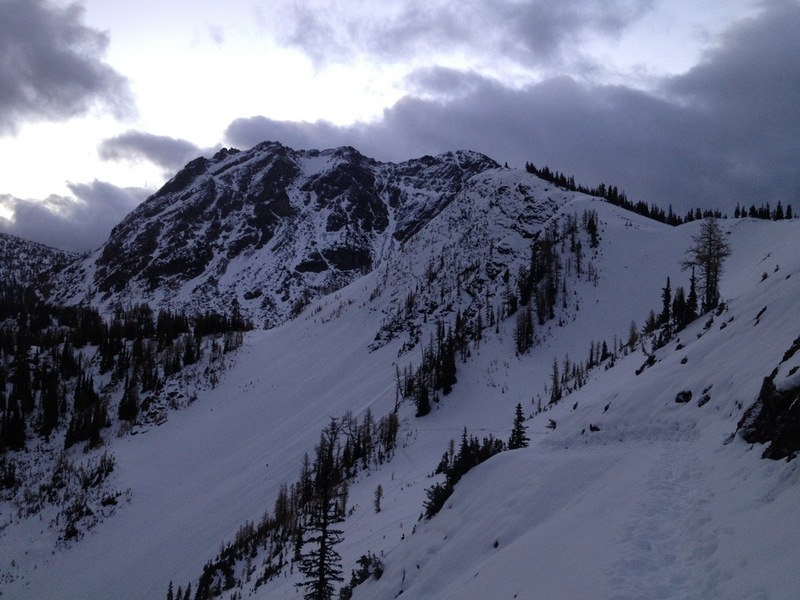 After hearing that others had to turn back in the following stretch from Rainy to Harts Pass because of high snow levels, we weren’t feeling confident with the new snow falling. We were quiet for most of the day, both individually contemplating what the next day would hold for us. Would the road walk and alternative route be our only option? 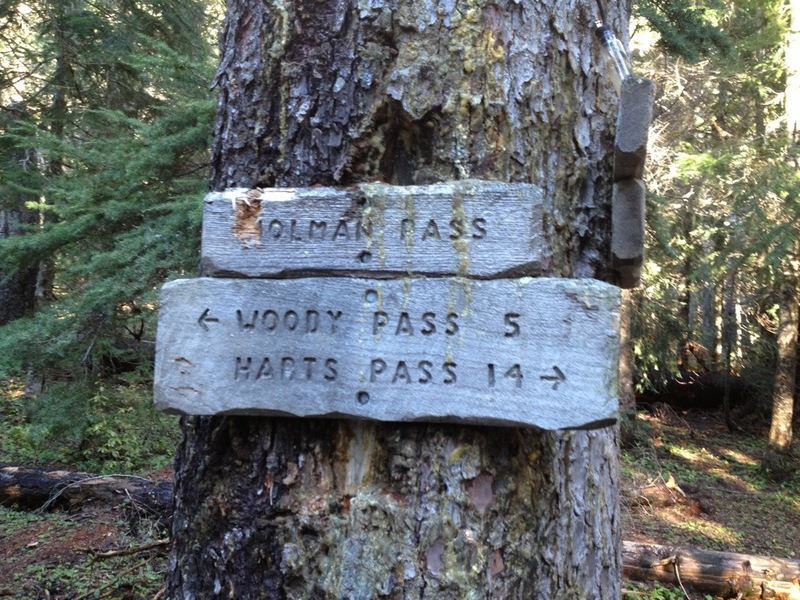 Would we have to miss the next section and try from Harts Pass? 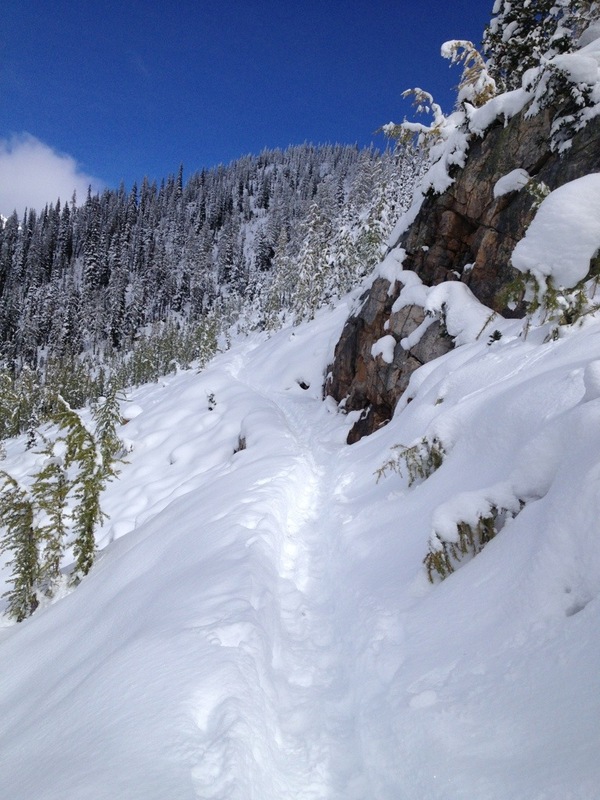 Could the snow be so deep now that the remaining trail would be impassible? When we reached the highway we were both cold and miserable. 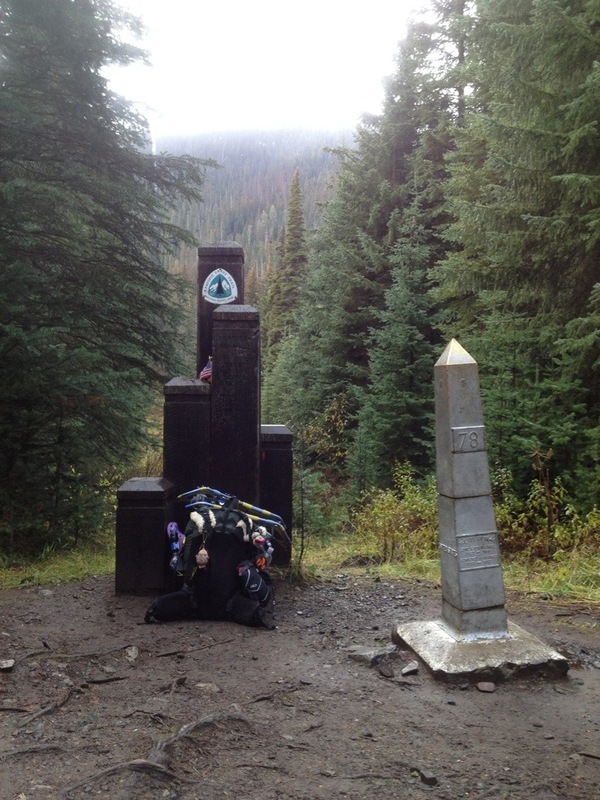 We had considered staying in the toilets at the pass, but because we were so wet and cold we had already decided to hitch into Mazama or Winthrop. First of all the toilets were locked, but miraculously the car that picked us up from the highway was driven by Alena (the woman completing the PCT on her horse whom I’d met just before Tahoe), her brother Cameron and Rustic, another fellow thru hiker UB knew well. 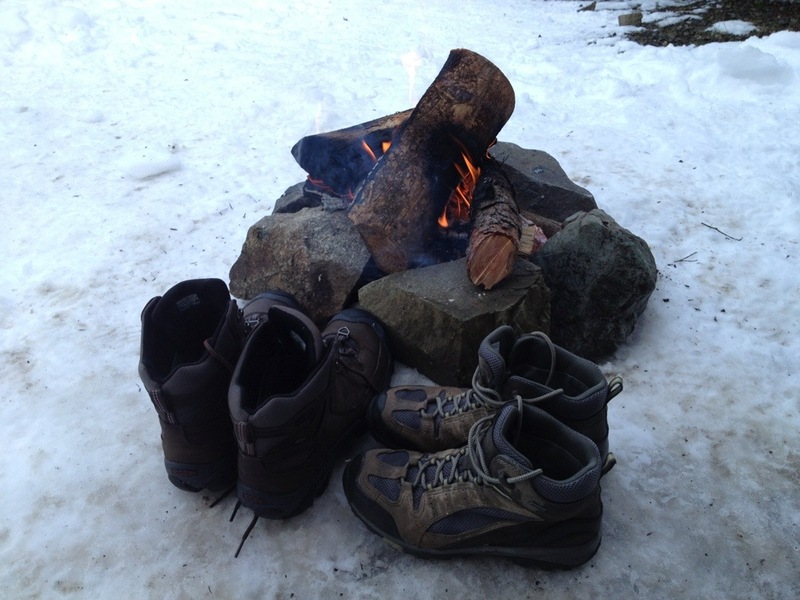 We dried off at the cottage that night and arranged for Hercules’ parents to drive us to the gear store in Winthrop in the morning to rent snow shoes and purchase more gear. 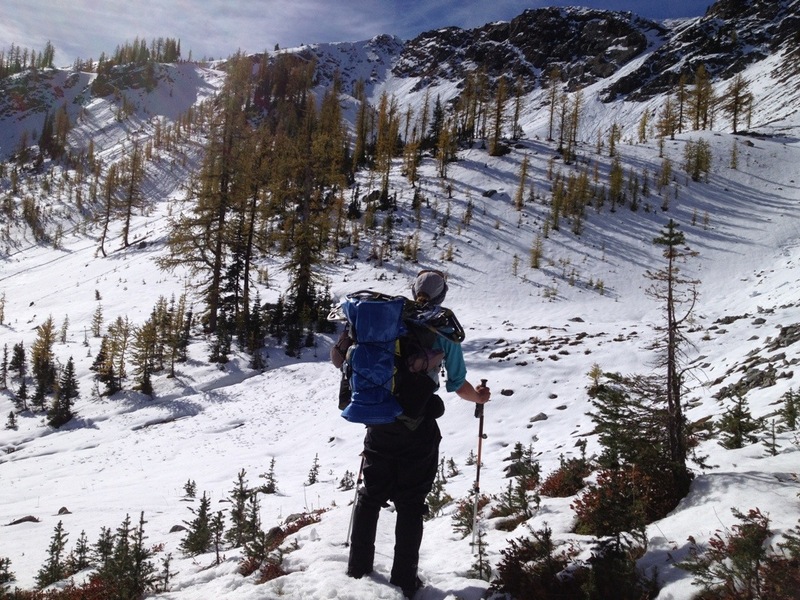 Alena and the boys were planning to head to Harts Pass in the morning to attempt the final section, and I was incredibly amazed at the logistics and planning that go into moving, feeding and resting a horse on the trail. 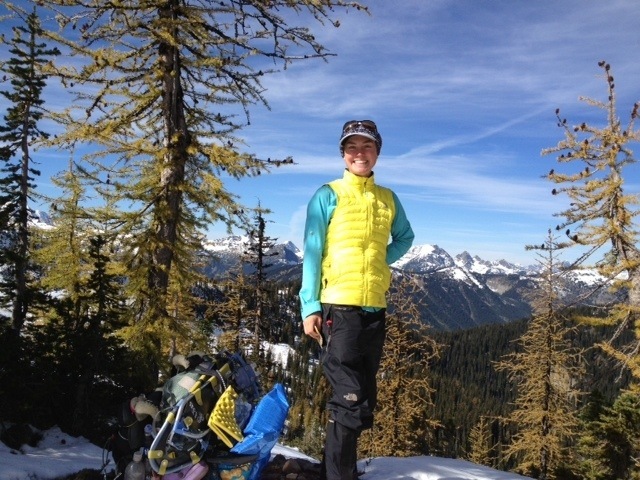 If she is able to complete the trail she will be the first solo woman rider to have done so. 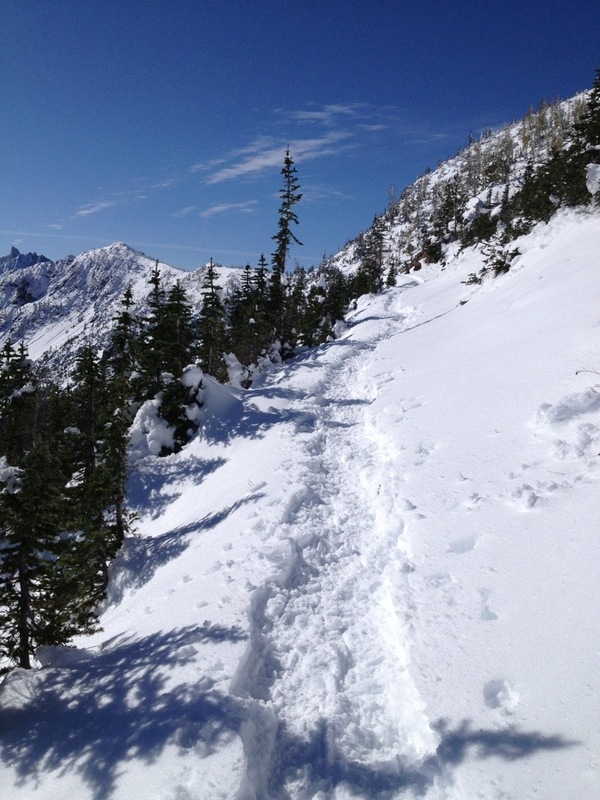 What we thought would take 3.5 days from Steven’s Pass to Stehekin actually took us an additional 2 full days. I was conserving my phone battery for navigation as there was no sun to charge it with my solar panel, and as a result, I don’t have a lot of pictures or footage to share from the final three days heading into town. 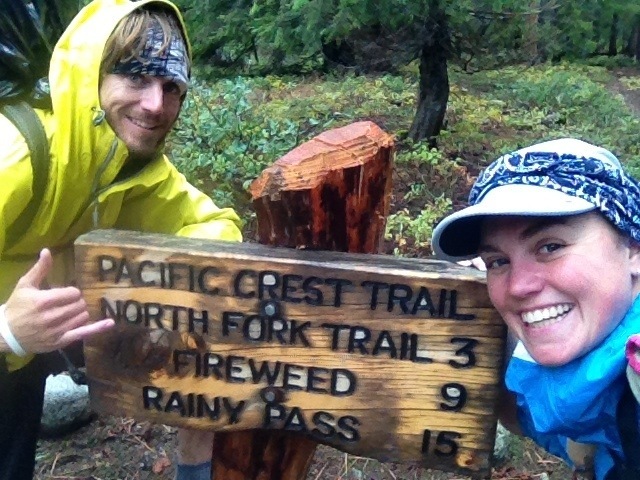 When we crossed Fire Creek Pass and Mica lake on the 28th of September we experienced freezing rain on top of our already wet clothes and gear. The wind was picking up and my nerves started running high. The trail had turned into a gushing river with rapids coming down it and no way to avoid soaking wet feet. Luckily UB knew this part of the trail and was able to lead us through confidently and efficiently as there was no time or GPS signal to even check our location on our apps. 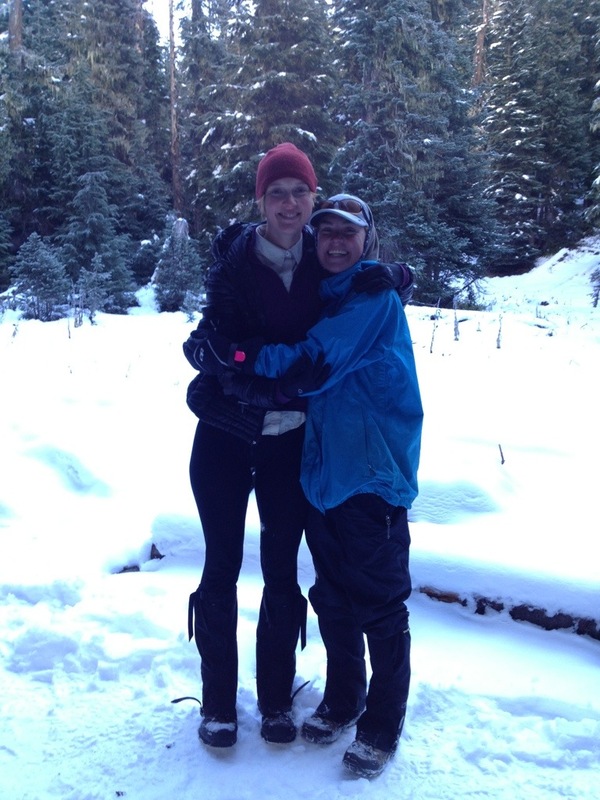 We slept at Vista Creek that night, a full day later than anticipated. Our tents were soaking wet and the only way to stay warm was to use our emergency blanket to cover the base of UB’s tent and throw our soaking wet clothes in my tent. We were still in great spirits despite our dangerous situation, and worked seamlessly as a team to ensure we set up camp in a way that would be survivable for another night. We discussed the possibility of bunkering down for a full day if the rain continued, but the next morning at around 9am UB made the call that we needed to keep moving. And what a call that was! I had to get out of his tent undressed to conserve my dry clothing and run over to mine to put on soaking wet long johns and my base layer with cold wet rain gear over the top. Our strategy was to move forward 13 miles at low elevation in soaking wet clothes to conserve our remaining dry gear for a final 22 mile push over the last two passes the next morning. This decision may have saved our lives. On our final night we were still smiling but extremely anxious about the day that lay ahead of us. So far UB had directed the operation flawlessly, and we now needed to dig deep and find the mental and physical strength to ensure our final push into town was in fact our final push. We didn’t have the option of another day on trail at this point. 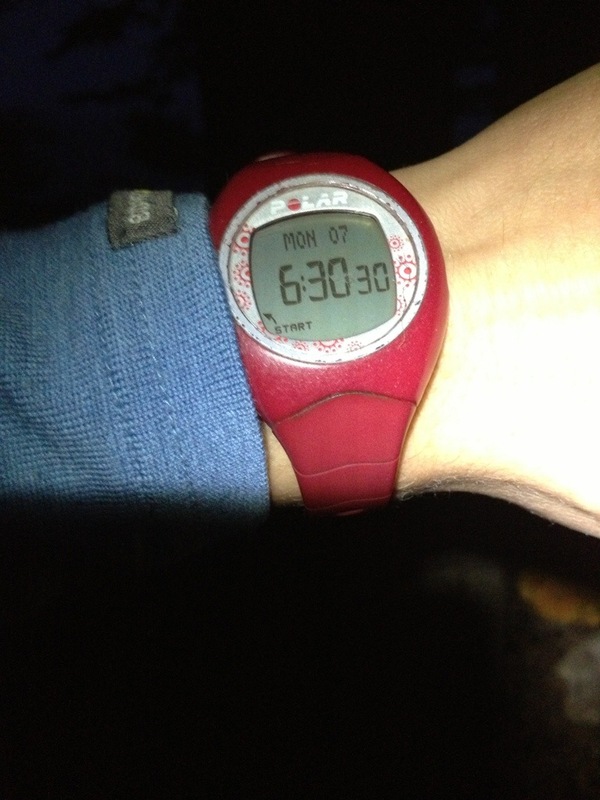 We woke at 4am with nervous tension filling the tent and hit the trail around 5:30am while the world was still dark. I put on my remaining dry clothing and UB kept on what he was wearing which was still damp from the previous day. My headlamp stopped working about 5 minutes into the morning so I shone our only light from behind while we navigated some small steam crossings over snow covered logs through the dark. Once we hit the top of the first pass the snow had really set in, but we ploughed on through about 8 inches of freshly fallen snow with UB navigating the trail from his earlier experience of Washington. What a blessing. 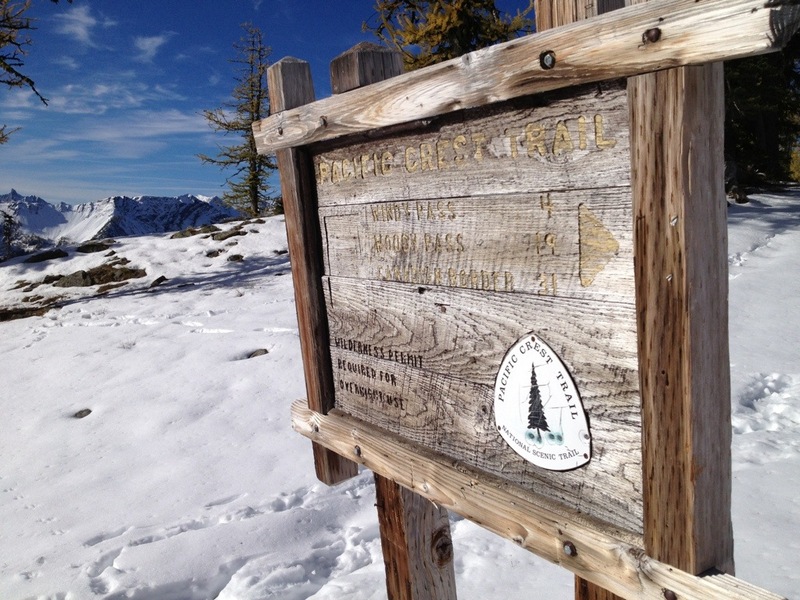 Once we reached the final peak we still had 15 miles to hike down to High Bridge Ranger Station. 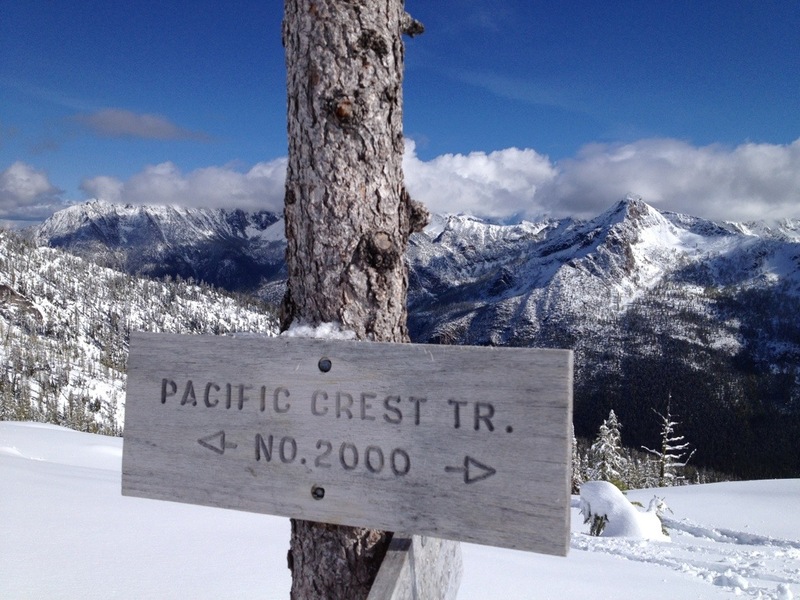 We hiked at a close to running pace to keep warm and hopefully catch the 3pm bus to Stehekin. These miles went forever, but with adrenalin pumping through our veins we arrived at High Bridge at 2:30pm, with just enough time to make a warm apple cider and catch the bus while reflecting over the incredibly challenging 5 days we’d just survived.